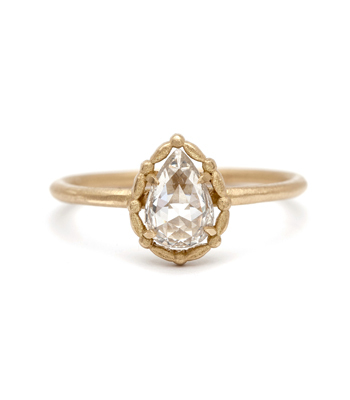 The pear shaped diamond cut, or teardrop cut, was introduced in 1458 by the Flemish polisher, Lodewyk van Berquem. The brilliant style, or pendeloque, was not introduced until the 1700s. Lodewyk is also responsible for inventing the scaif in 1456, which was a polishing wheel infused with olive oil and diamond dust. The scaif revolutionized the diamond cutting industry and contributed to increased popularity of diamonds and is still used today and is an essential tool to the industry and allowed him to discover new cuts. 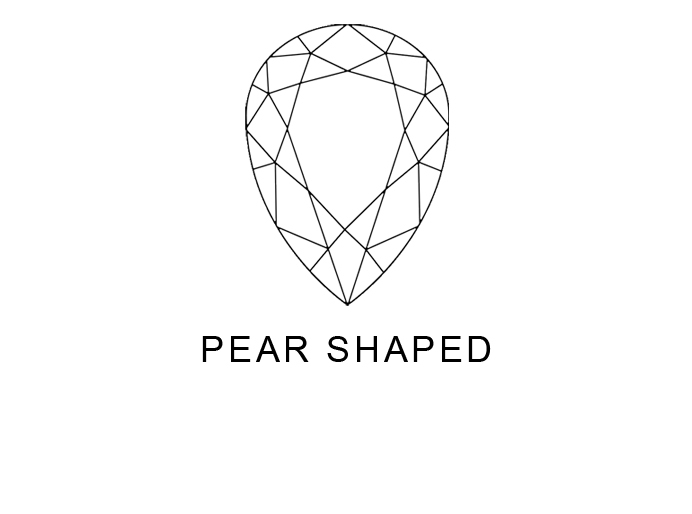 Of course you can wear your pear shaped diamond engagement ring how ever you wish and of course it will be gorgeous. 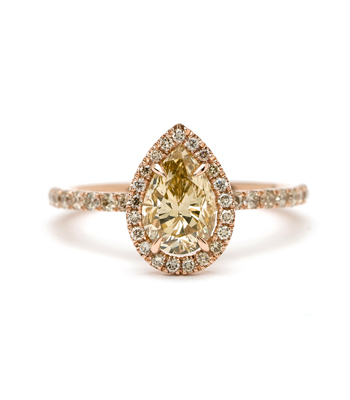 However, most women wear it with the point toward the finger tip, so when you raise your hand to look at it, the pear shaped diamond engagement ring will look like a teardrop. Wearing it in the fashion helps to elongate the fingers, which is a desired affect. One of the most famous Pear Shaped Diamonds was not a pear shaped diamond engagement ring, but was worn as a necklace by Elizabeth Taylor. She was given the necklace by her then husband Richard Burton, who bought the diamond from Cartier for $1.1 million in 1969. Cartier had outbid Burton the previous day at a public auction with the winning bid of $1,050,000. 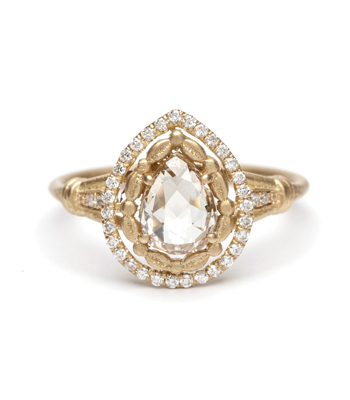 The original rough diamond was found in 1966 in the Premier Mine in South Africa, weighing 241 carats. Harry Winston cut it into the shape of pear weighing 69.42 carats. 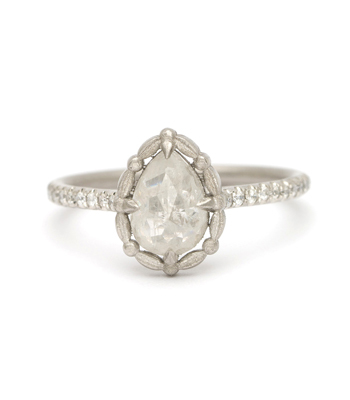 The diamond was set in a platinum ring with two other diamonds at the time of the sale. It was to heavy for Taylor to wear as a ring, so Burton commissioned an $80,000 diamond necklace which included a setting for the diamond. The necklace was most famous for being worn by Elizabeth at Princess Grace of Monaco's fortieth birthday, and at the 42nd Academy Awards.